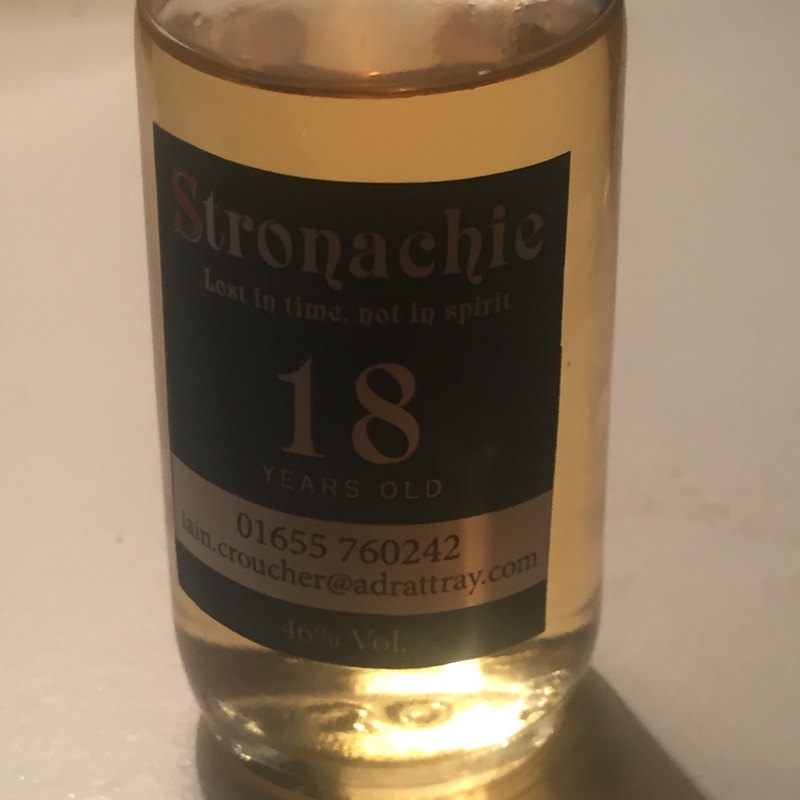 Stronachie 18 is one of the offerings from independent bottler AD Rattray, the company was founded in 1868 by Andrew Dewar Rattray, originally set up to import French wine, Italian spirits and olive oil, today the company is well known for its cask collection and independent bottlings. Nose.. Initially sweet, with a hint of fried banana, honey and soft scents of heather, some dried fruit and a faint citrus peel scent. Palate.. At first it feels creamy, a little sweeter than I expected, more vanilla, toffee notes, some dried fruits, apricot, plum and a slight orange peel note, toffee popcorn, and a little dark chocolate offer something to chew on.. Finish.. Not over long but enjoyable.. A fresh mouthfeel with a little oak finish.. Thoughts.. Enjoyable, not overly complex, but worth a try, something for an evening with friends.. Previous Post Tomatin, first fill bourbon. Next Post Balvenie 41yo single cask.